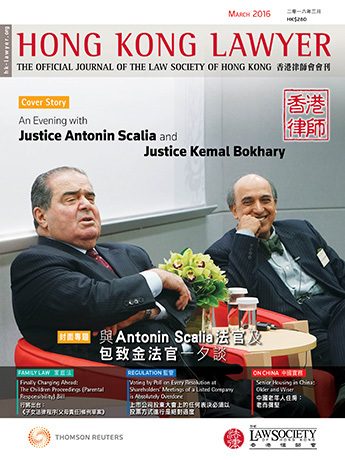 To get an overview of the most significant construction law-related developments in 2015 and a prediction of how the landscape may shift in 2016, Hong Kong Lawyer reached out to Dennis Wong, counsel at Clyde & Co whose practice focuses on construction-related dispute resolution in Hong Kong and China. In the summer of 2015, it was discovered that drinking water supplies in Kai Ching House, Kowloon City, contained lead exceeding the WHO guidelines of 10 µg/L. Following this discovery, a number of other housing estates – both public and private – were found to have lead contamination in their water supplies, as well as some schools and kindergartens. The first concern was for the health and well-being of those people who had been exposed to the contaminated water supplies and to ensure a supply of lead-free drinking water for Hong Kong residents. Then came the investigation – a task force lead by the Water Supplies Department came to the conclusion that the lead content of water was the result of lead leaching into water in the 'inside system' (ie, inside the estates) principally because leaded solders were used to join copper pipes. Lead solders do not satisfy the 'British Standard' of materials which both Hong Kong legislation and most construction contracts require. In the wake of this lead leaching saga, industry stakeholders are concerned as to where legal liabilities may lie, who will be responsible for rectification costs, and whether the government has done enough to protect the citizens. It is also yet to be seen whether the high Blood Lead Level of some Hong Kong residents may have detrimental effects on their health, which could bring with it a host of legal actions. the adjudicator can resign if they decide it is not possible to determine the matter fairly in the time available. If as expected, this legislation is introduced to Hong Kong by 2017, the legal dynamic of the construction industry will be altered with the introduction of statutory adjudication, and we may expect to see the number of arbitrations fall as payment disputes are dealt with by adjudication. It will be important for all parties to construction contracts to be familiar with the processes of adjudication, and to have developed internal systems to ensure that they can operate within the tight time-frames that have been proposed. In March 2016, the PRC will issue the 13th Five Year Plan. The plan is expected to set a target of "maintaining medium-high growth" with a focus on innovation, international cooperation and green development. President Xi Jinping has recognised that the country's previous economic growth is unsustainable and is promoting the "New Normal Theory" which considers that slower growth, shifting focus onto service industries and innovation, will lead to the development of a more balanced and stable economy. We can also expect to see international construction cooperation under the “One Belt and One Road” strategy put forward by the government as part of a new approach to integrated regional economic development. The initiative aims to create a large number of cross-border infrastructure projects, stretching across Middle Asia, Southeast Asia, South Asia and West Asia with some parts of Europe and Africa. (See CHINCA Preliminary Proposal of the 6th IIICF) Deputy China International Trade Representative Zhang Xiangchen, highlighted the importance of China’s international economic cooperation for global infrastructure development, where Chinese investors and contractors are involved in projects valued at US$191.8 billion. Hong Kong's Financial Secretary John Tsang has said "among the most promising prospects are the "One Belt, One Road" initiative, personally spearheaded by President Xi. … Many economies included in the "One Belt, One Road" strategy are developing economies with great growth potential. They are eager to expand trade, attract investment and upgrade their infrastructure. Hong Kong is perfectly positioned to contribute to and benefit from their aspirations."